New scenery creates new opportunities. 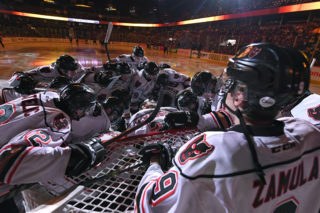 James Malm had spent his entire junior hockey career being the hometown kid with the Vancouver Giants. The Langley, B.C. 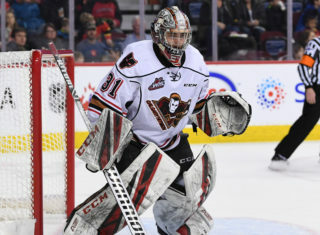 product spent four seasons with the Giants after being selected in the second round of the 2014 WHL Bantam Draft and never had to travel far from home. That all changed when he was dealt to the Hitmen Wednesday morning. “I was really excited when I found out,” Malm said. “Calgary is a great place to live and it’s a new fresh start for me. I get the chance to move away from home, do things on my own and experience what it’s like to play junior hockey away from my hometown. 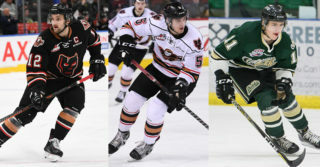 The past 24 hours have been nothing short of hectic for Malm, from packing up his things and jumping on a plane, to finally arriving to the Stampede City to get in his first practice and meet his new teammates. “I knew a few guys from the team in years past, but when I looked at the roster after the trade, I thought to myself, ‘I don’t know anyone on this team,’” he laughed. “Being the new guy in the room can be a little different with trying to settle in, but that goes away with time. The 19-year-old forward has been a prolific scorer since breaking into the league with a career total of 134 points (48G, 86A) in 179 games. In the past two seasons, Malm has been in the Top 3 in scoring with the Giants and was leading the team with 15 points (9G, 6A) prior to the trade. 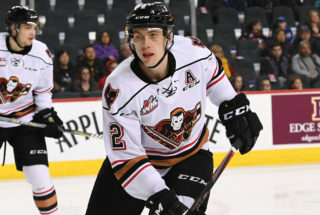 With secondary scoring being an area of struggle for the Hitmen to start the year, the addition of Malm could be just what the doctor ordered. “I want to win and everyone else here does too,” he said. “I don’t have any personal goals, I just want to become a better hockey player and contribute every night to help the team. 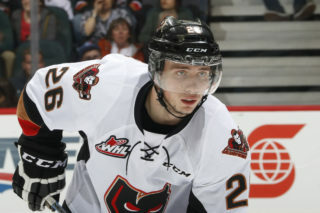 With three games this weekend against Central Division opponents, beginning Friday at home against the Medicine Hat Tigers, Malm won’t have to wait long to make his Hitmen debut on Scotiabank Saddledome ice. “It’s a quick turnaround with only getting one practice in and then having a three-in-three weekend,” he said. “In a way it’s better to jump right into it and not overthink things too much.